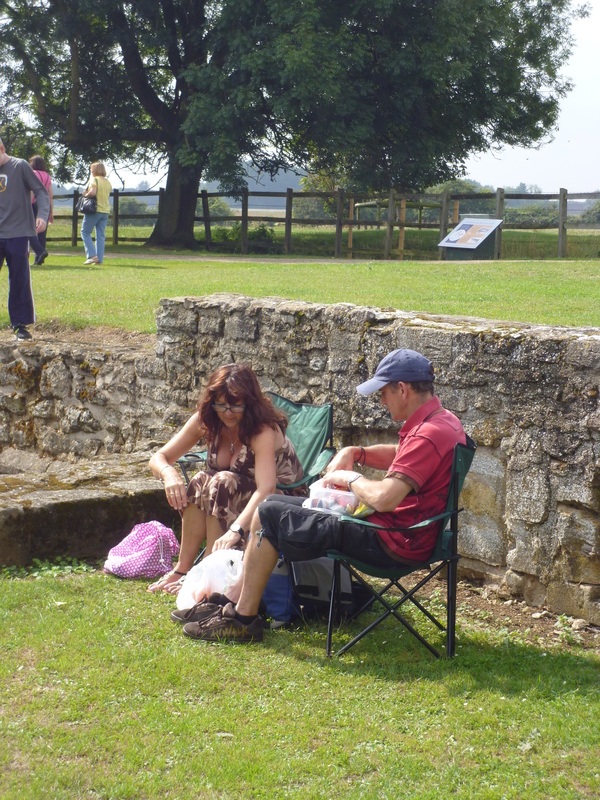 Visitor feedback is very important to us – positive and negative! I just wanted to email you to say how much I appreciated Bank Holiday Sunday’s event. With a weather forecast which was doubtful till the last minute, we took a chance and came to Denny Abbey. I brought my mother – aged 90 with her four wheel pusher and her friend with his buggy. Fortunately there were few people there but had it been busier I really don’t think there would have been a problem. It was positivity and support every step of the way. The car park warden allowed us to park near the gate so we did not have too much uneven ground to navigate with the disability aids. The gentleman in the ticket office showed us a short cut to the loos before we started. The archery was easy to see and we could get close and talk to demonstrators. The tea room was nearby and the ladies suggested I ordered lunch so I could get it when I needed it and avoid the rush. 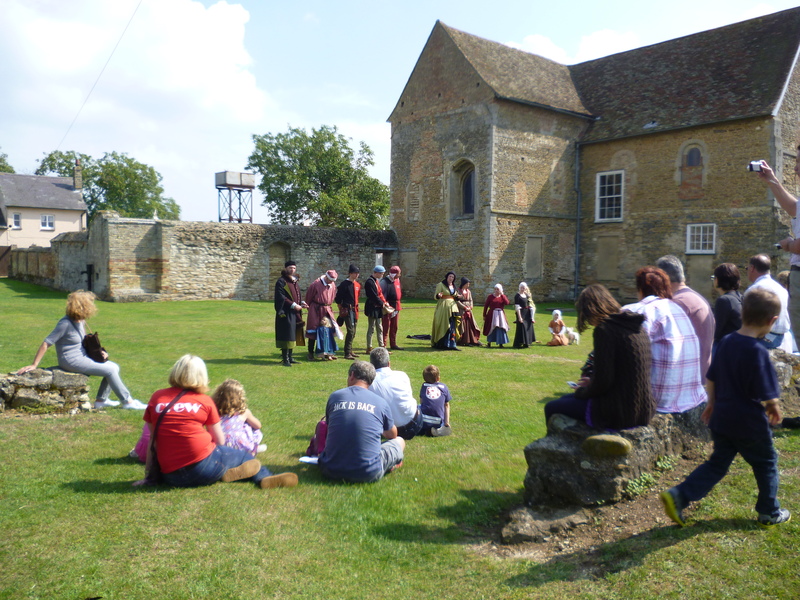 The Buckingham Retinue soon ‘clocked’ the situation and did made a point of telling us where the next part would be and where and advice on where to position so all could be seen and heard. The informality allowed about a five minute flexibility time between events and this was plenty to allow relaxed transitions. The Abbey was not busy and we could take our time in there and read all the details about its interesting history. The venue is small and easy to navigate and there is no risk of ‘losing’ anyone. As you might imagine – or have experienced first hand – taking a risk on a day out – especially as it was a birthday treat can be a little worrisome. All I had to do was make sure we got there – I did not have to be concerned about anything else and could enjoy the day myself as well. As a drama educationalist it was great to see a small group of children re-enact St George after the mummers play. 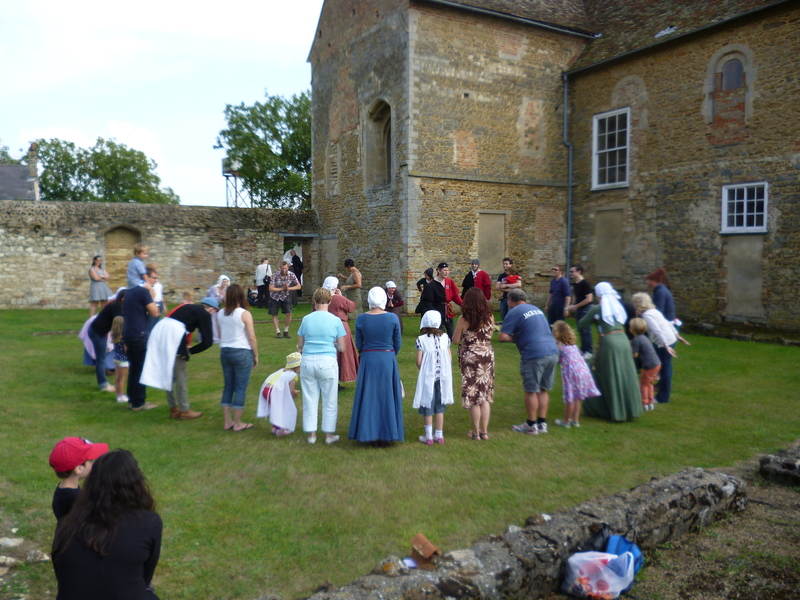 All the research shows that theatre is a very strong teaching tool and it was borne out in front of me that afternoon as one gently kicked the others who were lying ‘dead’ and cheering as each got up miraculously recovered! 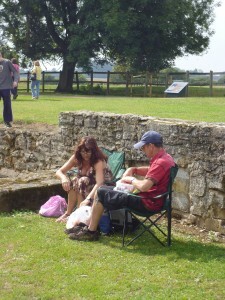 Visitors enjoy a picnic beside the Abbey.